Offering a solid and simple, no gimmick home warranty grows your business when you include it free with your home inspections. Sometimes you only get one conversation with a potential client or one click to your website to close the deal. Here’s how to make you and your business the obvious choice for home-buyers. Offering a free home warranty “backs up” the quality of your service in the minds of your clients and gives them peace of mind. It puts you ahead of the competition and closes the deal! It reduces your headaches and it doesn’t have to cost you a thing. 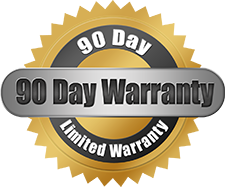 The Complete Protection ( CP™ ) 90-Day Guarantee provides your clients with a warranty on the major mechanical systems in the home. Click here for warranty details. Includes a professionally designed, proven effective marketing materials for your clients. Post it on your website, distribute it- use it to turn prospective clients into buyers. Offering a free home warranty is like guaranteeing your home inspection service. Build trust, build clients- include a free home warranty. A warranty makes your nuisance problems go away. The small, warranty-related issues that you are often forced to deal with are taken off your plate and handled by professionals, so you spend your time and energy inspecting, not fixing problems. Offering a home warranty with each inspection gives your business a competitive edge, makes your clients happy and satisfied, and lets you turn over the worse part of your job to experts who are qualified to resolve it professionally. CP™ has been offering award-winning service to home inspectors in the United States and Canada since 2006. CP™ is only one of two home warranty companies in North America to receive Angie’s List Super Service Award, and CP has won it twice. The 90-Day Guarantee is valid for 90 days from the date of inspection or 30 days from close of escrow (whichever is later) and has no dollar caps on repairs with no deductible or copay. Unlike other programs, all claims are done over the phone without having to submit any documentation in order to receive service. * No exclusions for lack of maintenance, rust or pre-existing conditions. * No age restrictions – some other programs don’t protect anything over 11 years old. * No deductible or copay – service calls are not covered under some other programs. * No limit on mechanical repairs – some other programs limit them to $500. * Click here for additional warranty details. You can offer a warranty to every client for as little as $12.75 (OREP insured/$12.50), which can be built into your inspection fee. See below for plan options. Click here for the Warranty PDF. Try it to see whether sales become easier and headaches easier to avoid when you begin offering home warranties. Included free in the “Inspector Saver” and “Pro Pak” plans below are a free annual subscription to InspctorAdvisor.com and Working RE Magazine. OREP insureds enjoy special pricing (see below). InspectorAdvisor.com answers your tough inspection questions fast! Working RE is the largest, most respected publication for home inspectors in the country. Both are included free with the “Inspector Saver” and “Pro Pak” plans. Get your tough questions answers and stay informed and up to date on your profession with InspectorAdvisor.com Working RE Magazine, delivered right to your door. This product can not be used for a pre-listing inspection. Purchase your insurance through OREP?